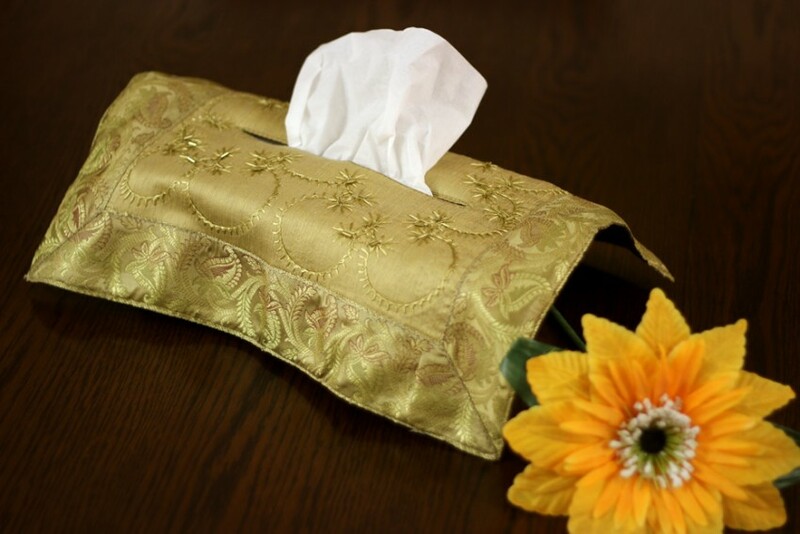 Add an extraordinary touch of luxury and beauty to your box of tissues with the Hand Embroidered Tissue Box Cover from Banarsi Designs. 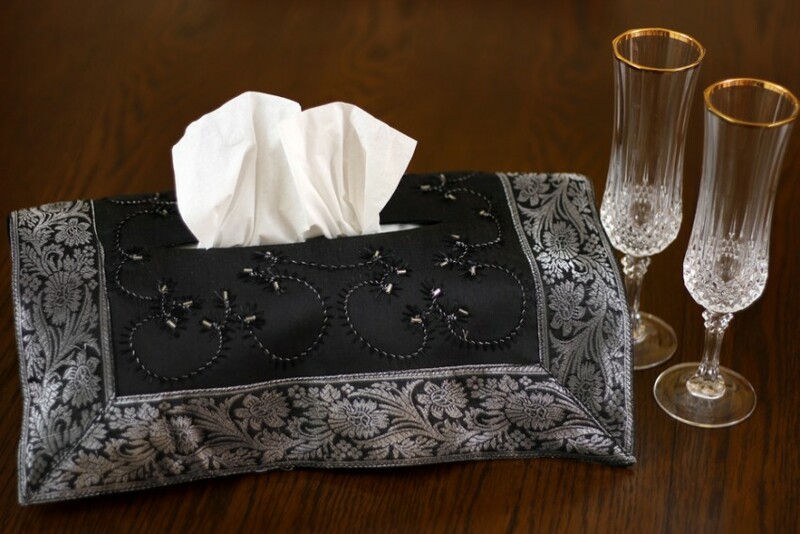 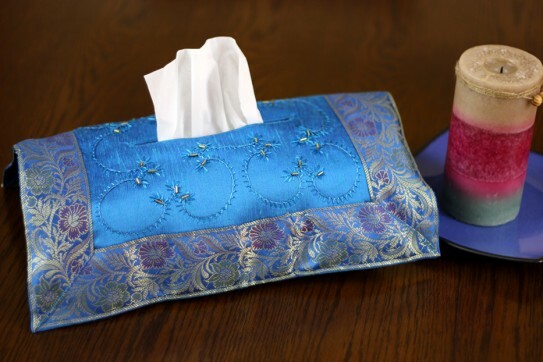 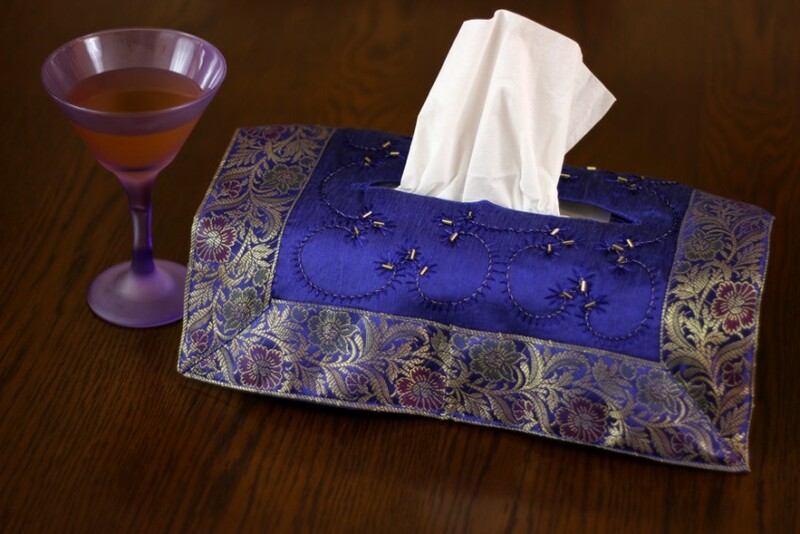 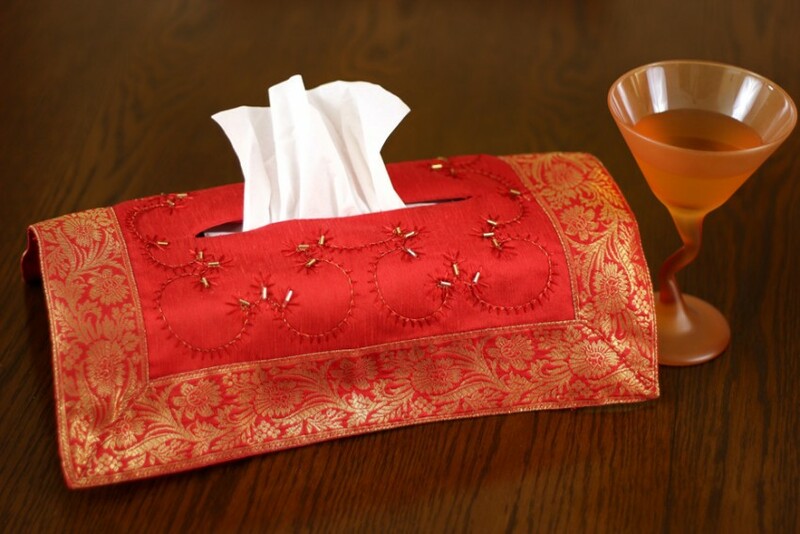 Transform your tissue boxes from ordinary to extraordinary with our beautiful Hand Embroidered Tissue Box Cover. 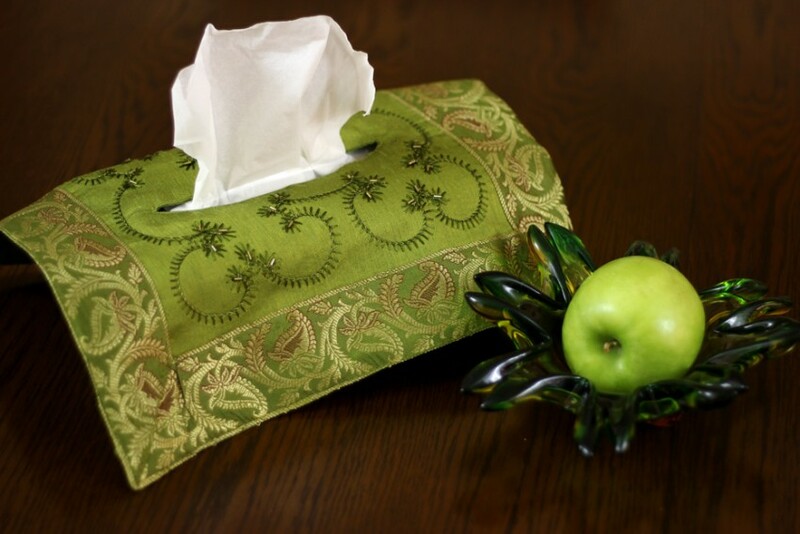 Crafted in India, this rectangular 14" x 12" (stretch fit) tissue box cover features the Banarasi Saree border and fits most rectangular size boxes.